IF YOU LIKE ANY SONG HE DOES, GIVE HIM SOME MORE TIME TO GROW ON YOU. HE WILL! This is the first Harry Nilsson album I ever purchased. I bought it because I�d just discovered he sang the song "Me And My Arrow", which I remembered loving from my childhood. Being a huge Beatles fan, I was aware of who Harry was, and I�d heard "Everybody�s Talkin'", "Without You", and a few others on this disc. The main strengths of this disc are it's near perfect song selection (for the years it covers) and its sequencing. The album draws you in with the first cut, ("1941") and keeps you engaged until the last note of "As Time Goes By" fades from the speakers. Along the way, you hear Harry�s evolution from playful tunesmith to serious artist to borderline vulgarian to mournful balladeer. Since purchasing this disc, I've become a hard-core Harryhead and now own every album with the exception of Skidoo, Son of Dracula, and Flash Harry. I could quibble with some of what's here, and some of what's left off, but this single disc does such a good job of summarizing Harry there's only one negative comment I'll make. This disc musically gives the impression that nothing Harry did after 1974 was notable. This is not true at all. I give this disc credit for being the reason I've since acquired 12 other Nilsson discs. I'll also say that even though I have most of Harry's albums, I still listen to it because it's such a rush to hear all those great songs back to back. 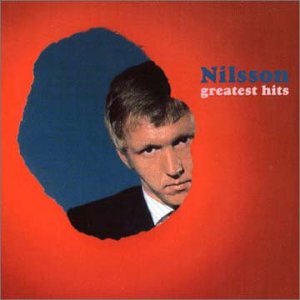 If you only know a few Nilsson songs, and you want to investigate what Harry was all about, this is the place to start.